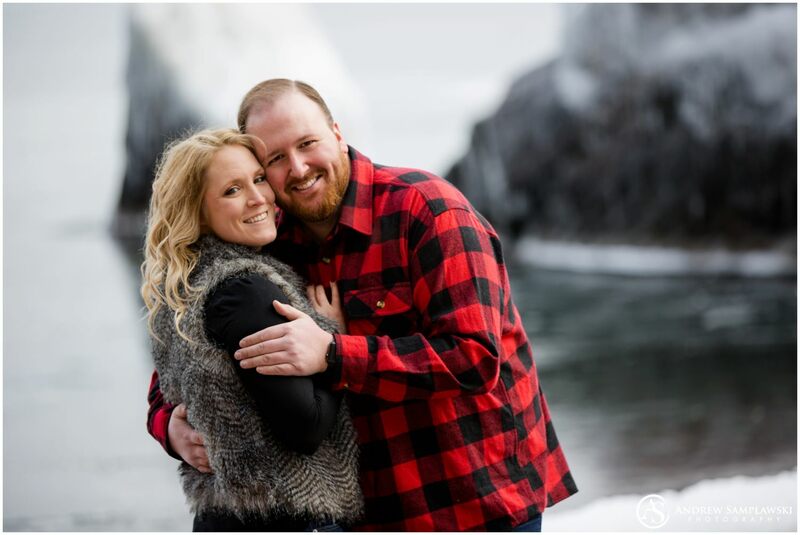 I met up with Anthony and McKenzie for a fun engagement session in Two Harbors, Minnesota, before their wedding next year. 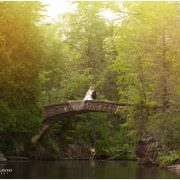 While we hung out during the session, Anthony and McKenzie told me their love story and how it related to the locations they’d chosen for their engagement session. 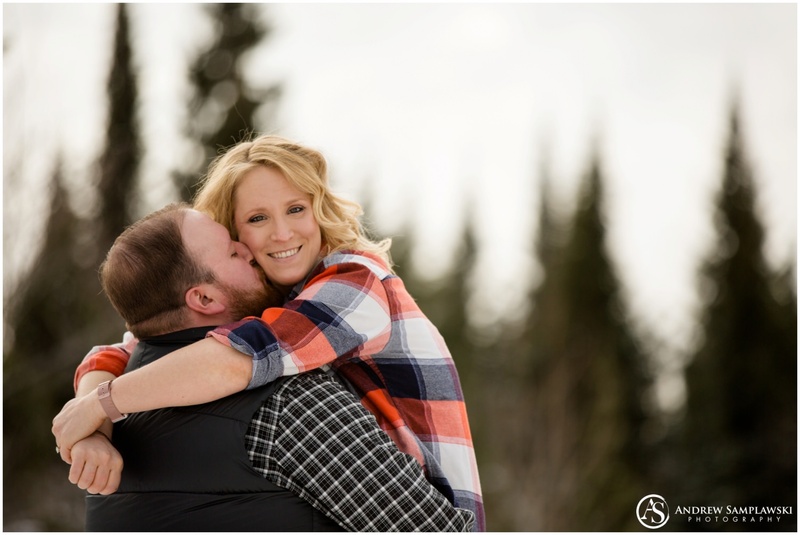 Anthony proposed in the Grand Teton Mountains, so they wanted to have that same outdoors-y imagery in their session. 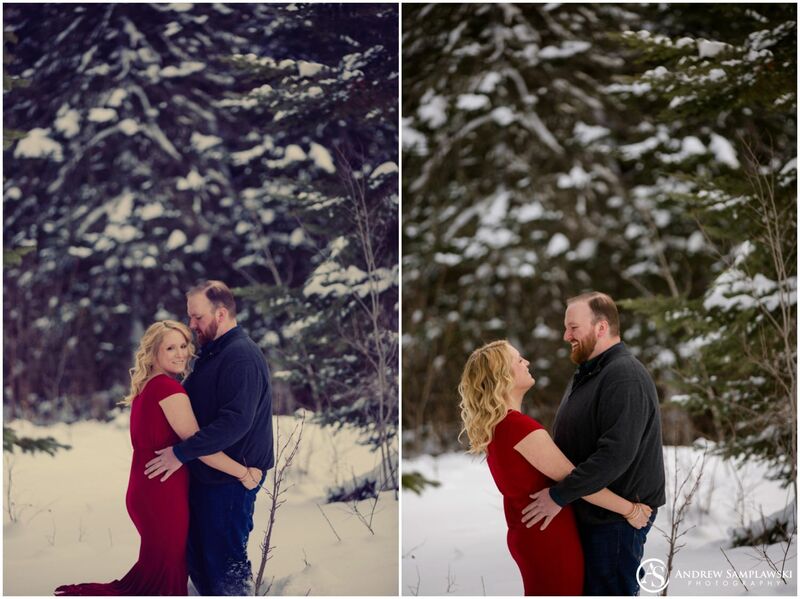 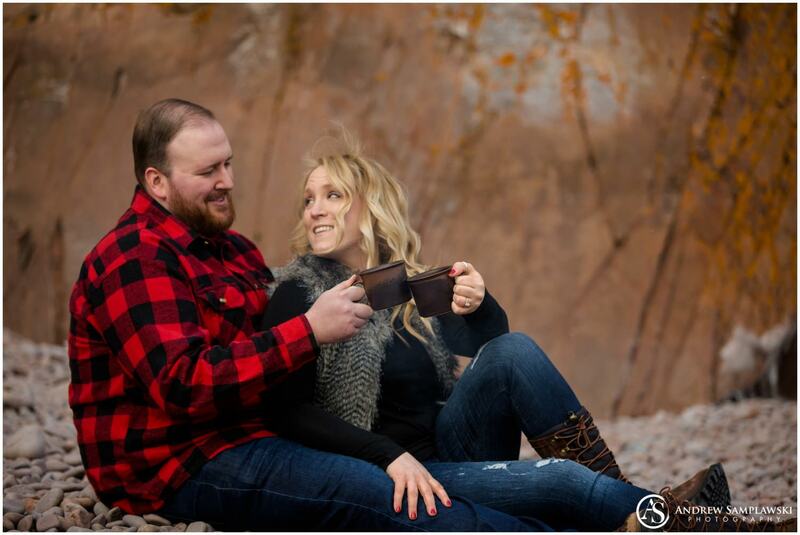 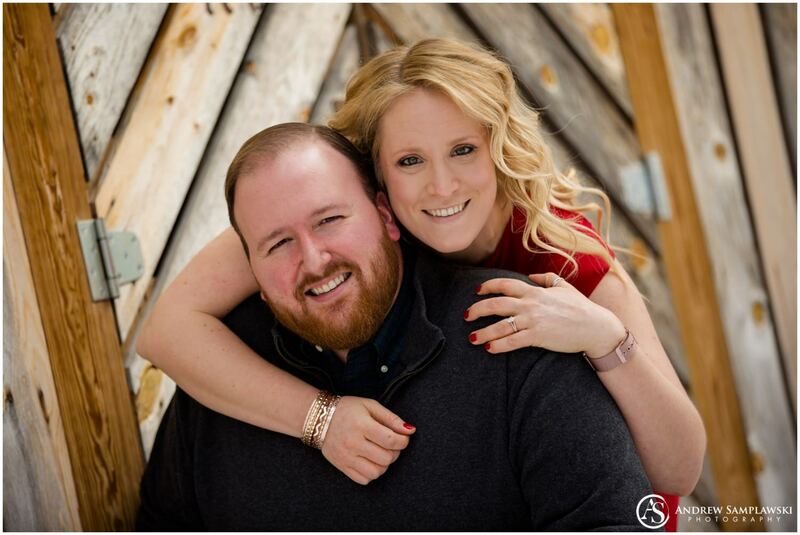 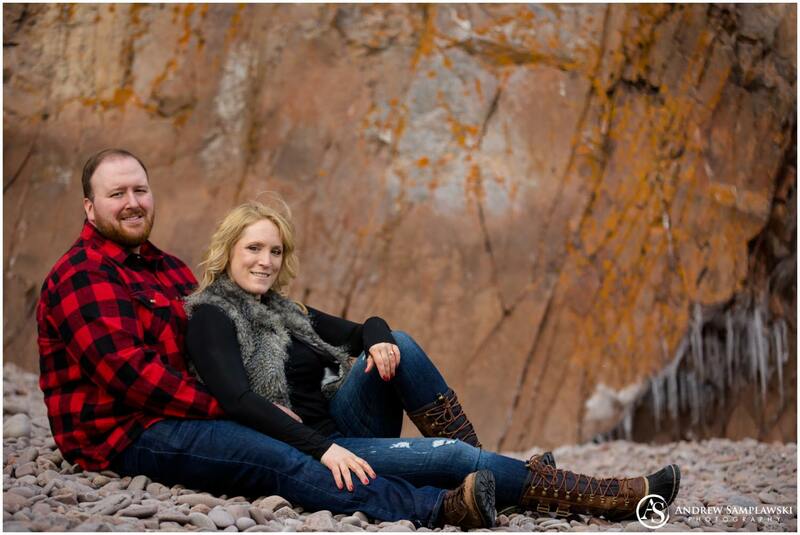 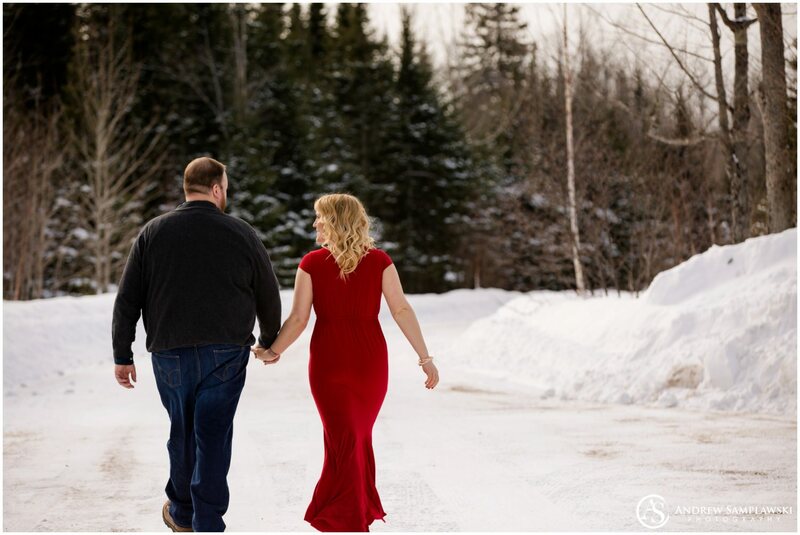 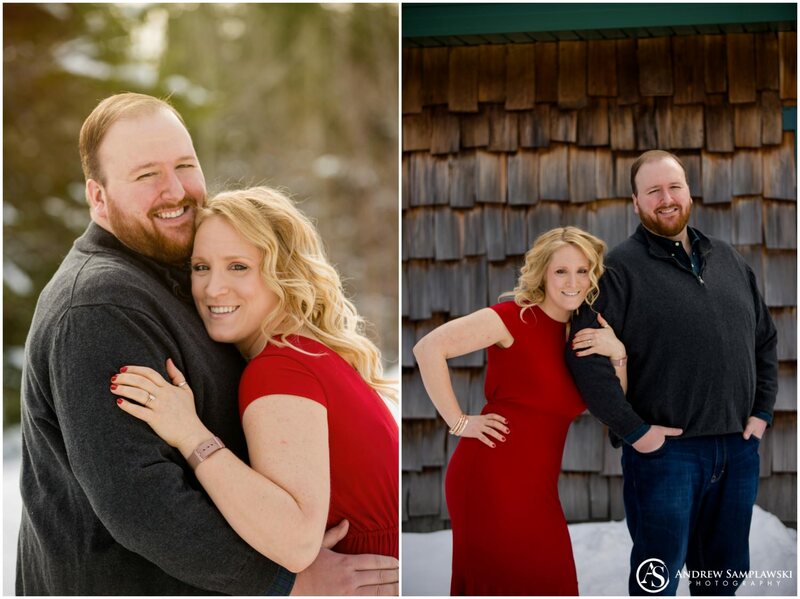 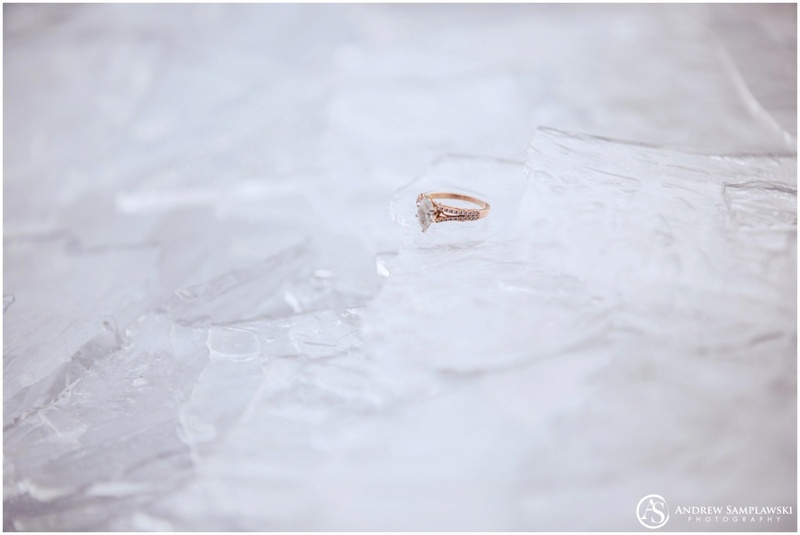 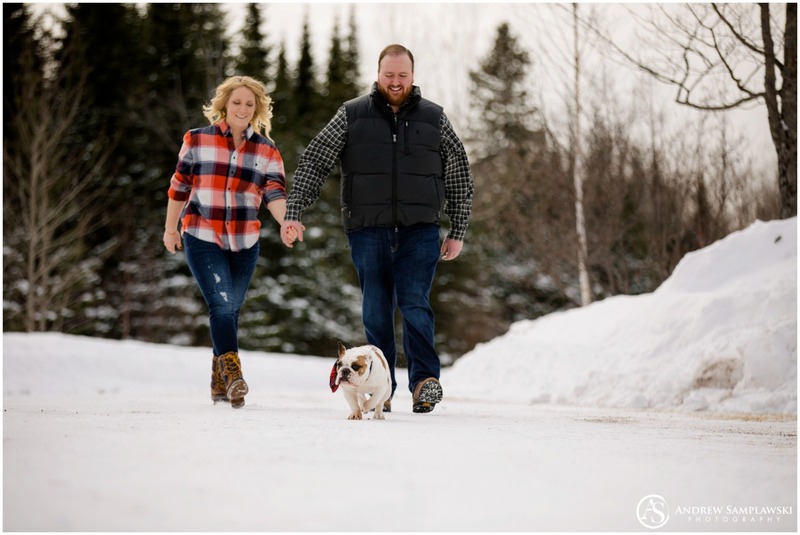 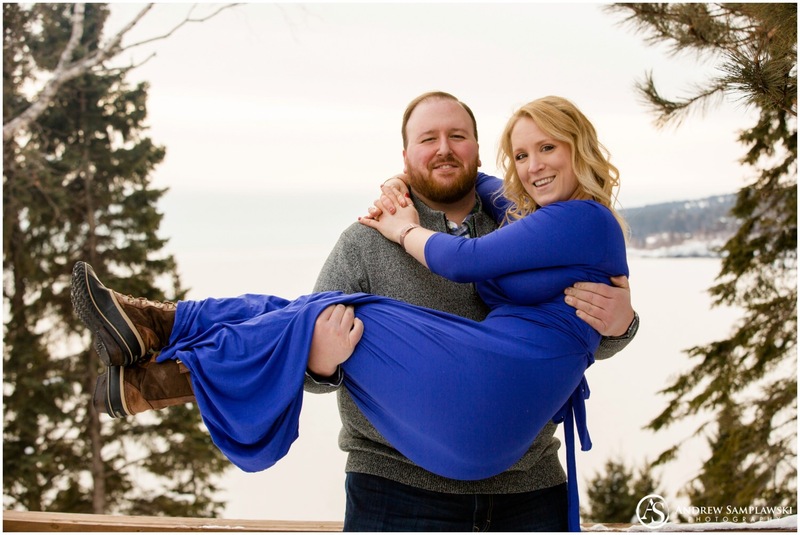 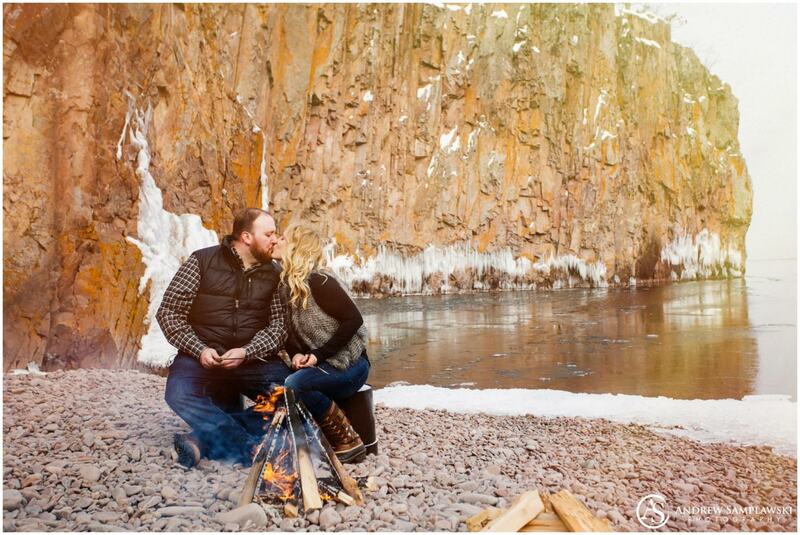 Two Harbors offered the perfect rustic backdrop for their winter engagement session. 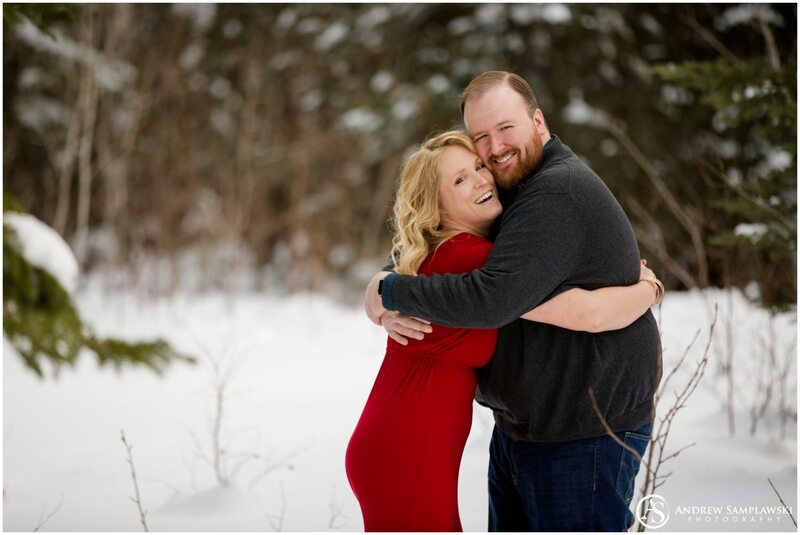 There were so many opportunities during the session to capture that feeling for them. 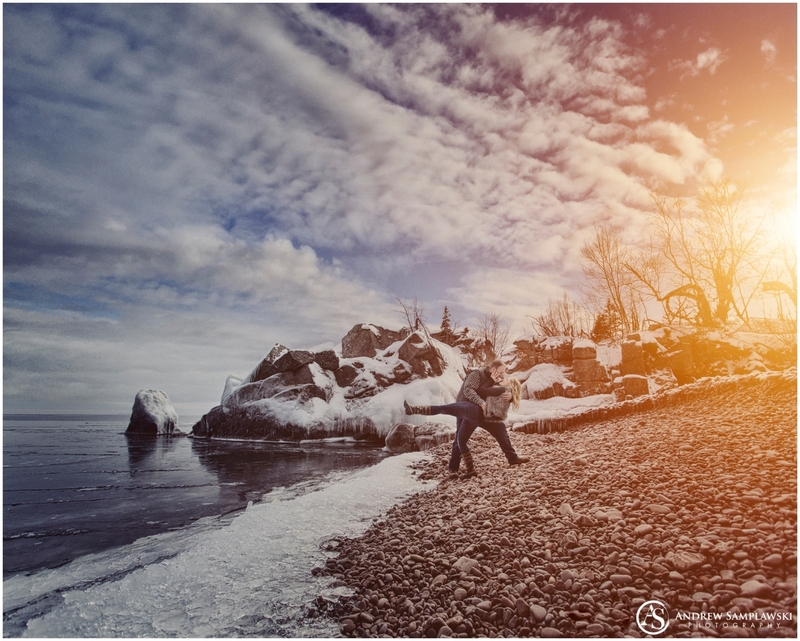 We grabbed some family pictures with their dog before we went to a private cove off of Lake Superior, where the ice formations on the cliffs and rocks were stunning. 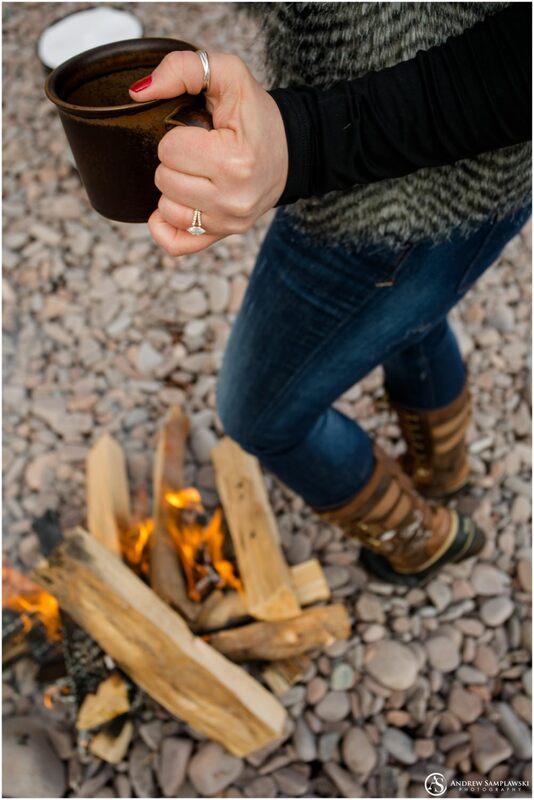 We were then able to start a campfire and end the day in their family cabin, cozy and warm. 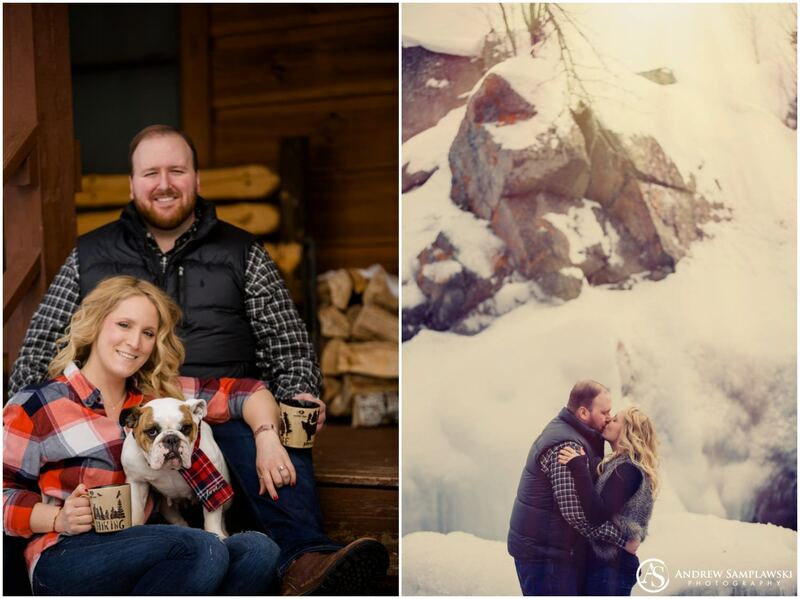 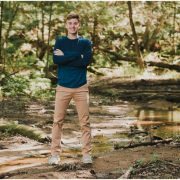 I love when couples are creative with their engagement sessions. 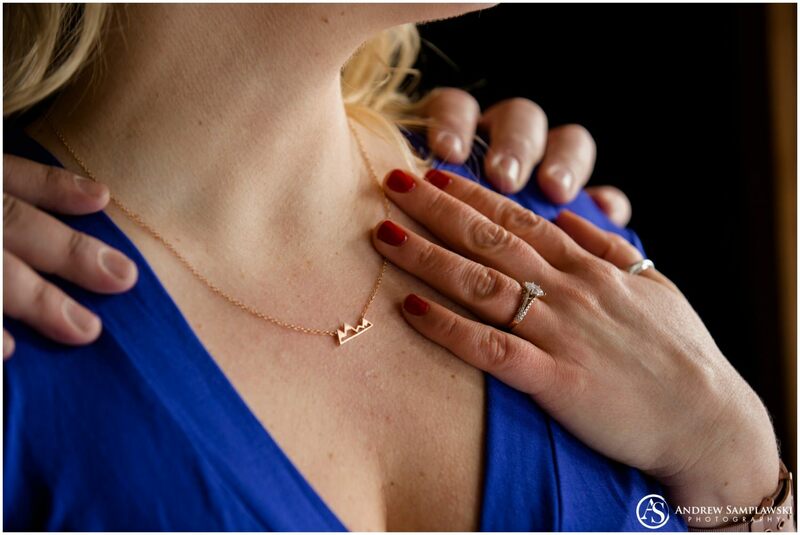 Not only does it make the session more personal, but it’s also great to keep my creative juices flowing. 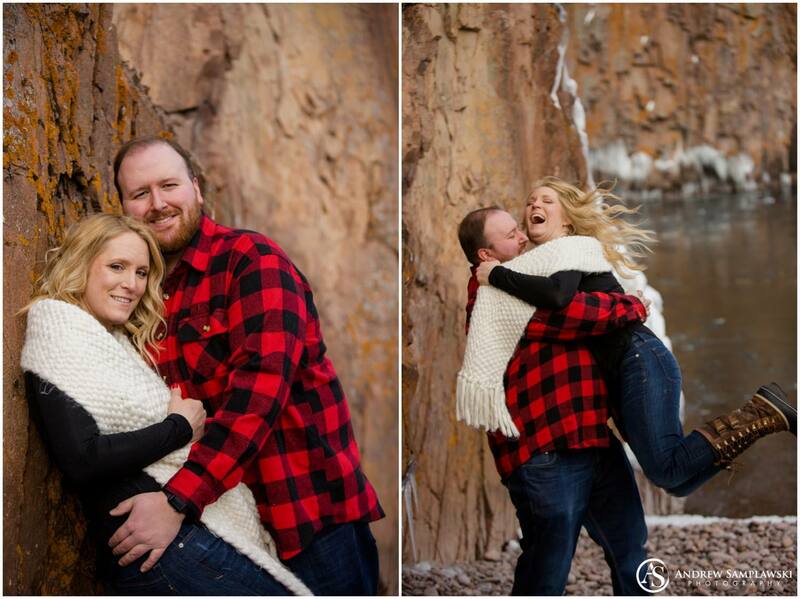 In addition to some beautiful backdrops, I was also spoiled with a fun, competitive couple. 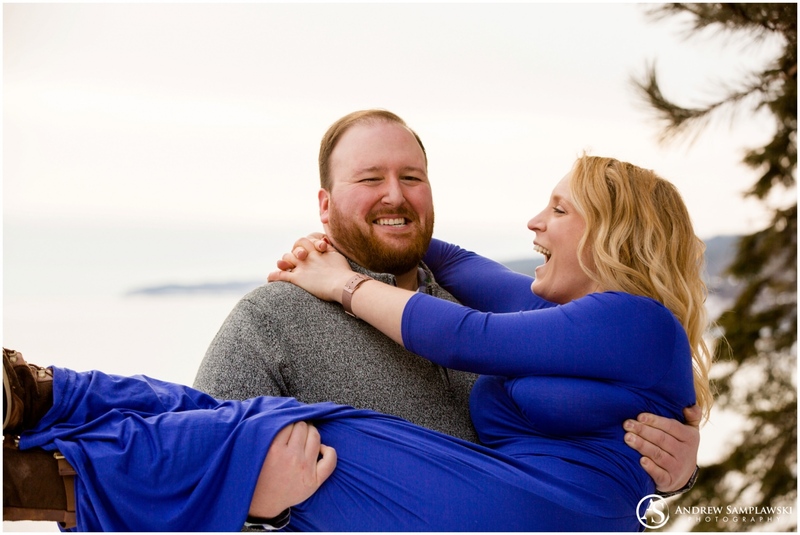 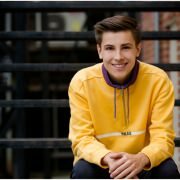 Throughout the session, Anthony and McKenzie spent most of their time laughing with each other and trading one-liners. 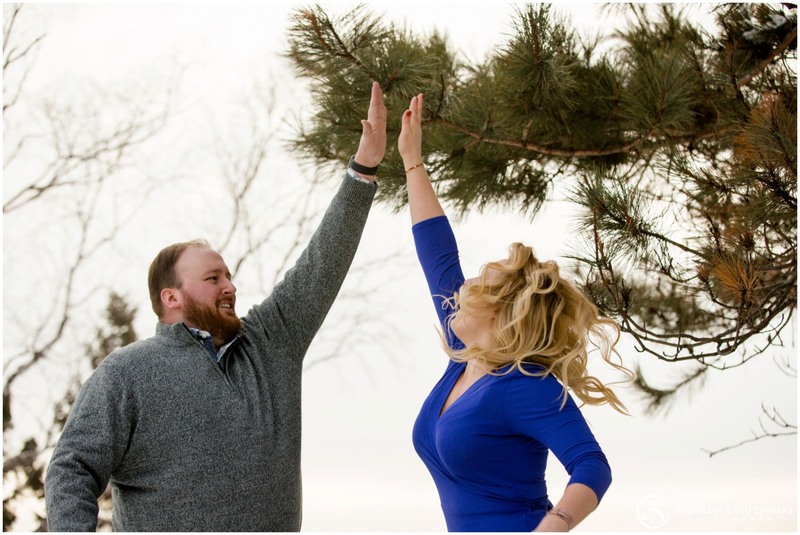 And of course, I couldn’t forget their jumping high-fives. 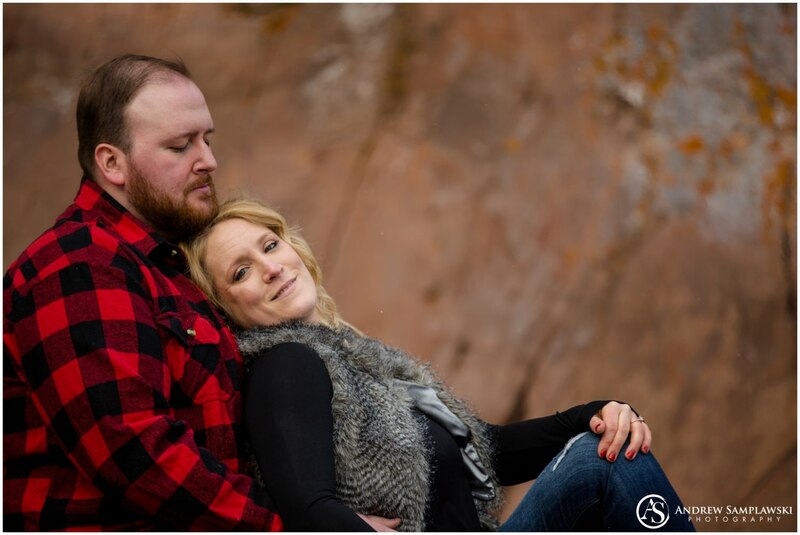 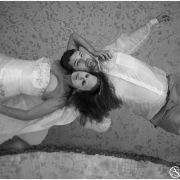 These two really were up for anything, and that made the whole session not only more enjoyable for me but gave them the chance to make fond memories before their wedding. 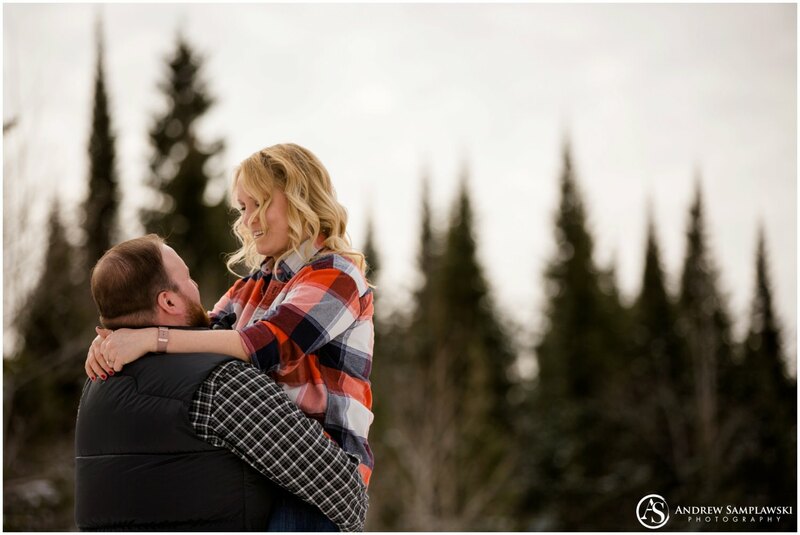 McKenzie & Anthony, thank you for asking me to be your engagement photographer. 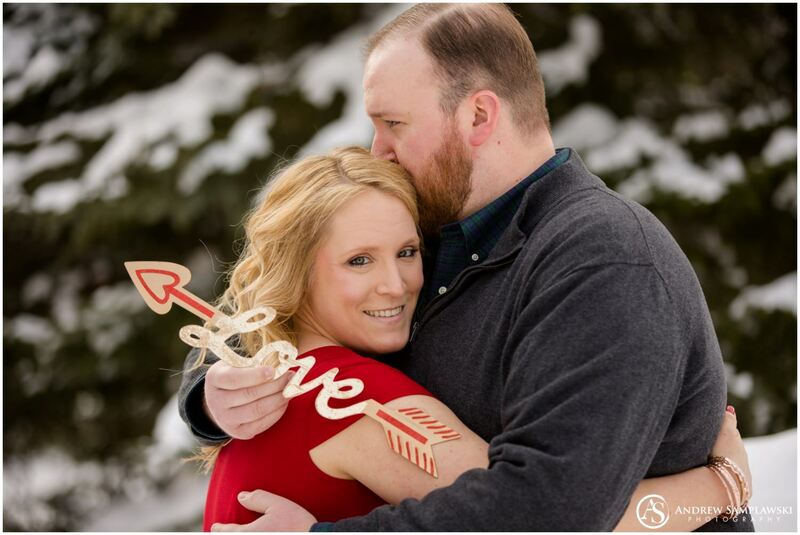 I’m so glad that I got to hear your love story and spend time with you, and I can’t wait for your wedding next year!